This first section includes five chapters that introduce important concepts and context for understanding and analysing radio and Internet projects. The introductory chapter, Mixing Media to Bridge the Divide, provides an overview of how radio and the Internet are being used together in various development and democratic communication projects. It also introduces the book's structure, classifying the work being done into the three types of projects that are separately examined in the following sections. Alfonso Gumucio's chapter, Take Five: A handful of essentials for ICT in development, takes a critical look at the Internet's development potential and proposes five non-negotiable conditions for ICTs in development. In the chapter by Jean-Pierre Ilboudo and Riccardo del Castello, Linking Rural Radio to New ICTs in Africa: Bridging the rural digital divide, the authors present the FAO's experience with rural radio in Africa and recent efforts to introduce ICTs into rural radio as a way of promoting new content and new partnerships. Lynda Attias and Johan Deflander also aim to separate the hype from the reality. 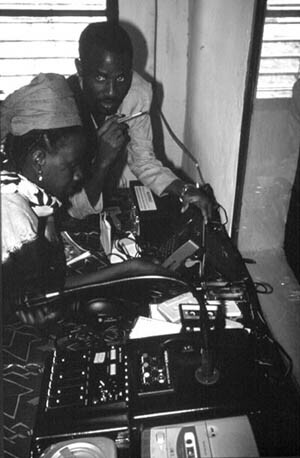 Their chapter, The Information Highways are still Unpaved, weaves together comments of West African radio journalists and the authors' own observations and proposes an approach for integrating radio and the Internet more suitable to the West African reality. In his chapter on Public Radio and the Internet in the United States, Robert Ottenhoff, formerly the Chief Operating Officer of the Public Broadcasting System (PBS) in the USA, provides three examples of how the Internet and radio complement each other in the country that invented the Internet.